Tech India’s visa woes are far from over. Things are still bad now with the the US Citizenship and Immigration Services (USCIS) implementing a new H-1B visa filing regulation applicable from the quota opening on April 1, though the electronic registration requirement will be suspended for the fiscal year 2020 cap season, as requested by various industry bodies, including Nasscom. The key criteria for granting H-1B visa, so far, has been “specialised talent’’ that was not available locally. But as per the new rule, priority would be given to foreign workers who hold advanced degrees from various American universities. This drastic change brought by the Trump administration might adversely impact project expansions, on-site activities and people addition schedules of Indian IT firms in the US. The final rule reverses the order by which the USCIS selects H-1B petitions under the regular cap and the advanced degree exemption. The agency will first select H-1B petitions (or registrations, once the registration requirement is implemented) submitted on behalf of all beneficiaries, including those that may be eligible for the advanced degree exemption. Thereafter, it will select from the remaining eligible petitions, a number projected to reach the advanced degree exemption. 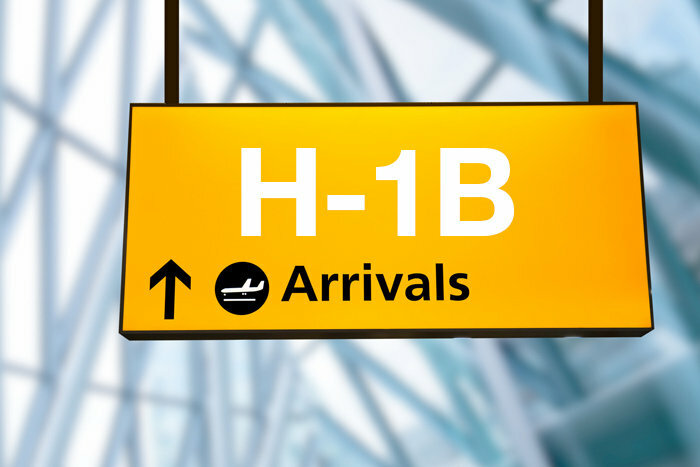 Changing the order in which the USCIS counts these allocations will likely increase the number of petitions for beneficiaries with a master's or higher degree from a US institution of higher education to be selected under the H-1B numerical allocations. Shivendra Singh, vice president, global trade and development, Nasscom, told Financial Chronicle that by flipping the visa lottery, the preference will now go to US educated post graduates, so Indian companies may not be able to hire domain experts and skill sets in data sciences, blockchain, IoT, analytics, big data, artificial intelligence, machine learning and other deep technologies. “Indians make a significant contribution to the US economy. Some 1,75,000 Indian professionals are employed in 75 per cent of Fortune 500 companies. H-IB plays a critical role in bridging the skill gaps in the US. Indian tech firms have also been working towards building skills in collaboration with various US universities and spending millions of dollars. Back home in India, Nasscom has a mandate to upskill two million people. It is a fact that Indian IT has drastically reduced its dependence on H-1B visas. Nevertheless, it is time authorities treated these as trade issues and not as immigration issues,’’ Singh said on behalf of the apex body. The new rule introduces an electronic registration requirement for petitioners seeking to file H-1B cap-subject petitions. The new regulation will also lower overall costs for employers, said a USCIS media statement. The change in rule will lead to an estimated increase of up to 16 per cent (or 5,340 workers) in the number of selected petitions for H-1B beneficiaries with a master's degree or higher from a US institution of higher education. Under the existing system, 65,000 H-1B visas are granted while another 20,000 are reserved for people who hold advanced degrees from US higher education institutions.